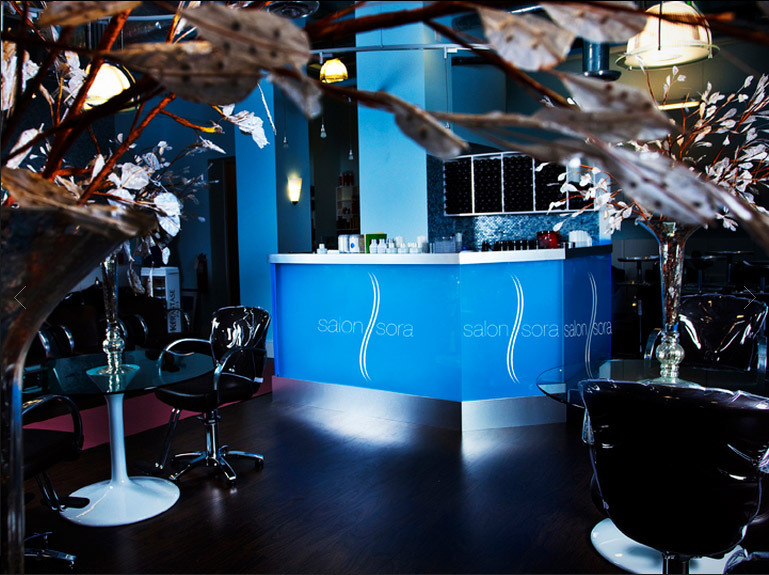 Salon Sora opened June 4, 2013 in the Milan building at 1675 N. Military Trail, in the heart of Boca Raton, Florida and quickly became one of the best salons in Boca Raton FL. Nestled on the penthouse floor it offers breathtaking views, a rooftop zen garden retreat, and some of the finest stylists and colorists in Boca Raton! With approximately five thousand square feet and wraparound windows you can be sure to never feel closed in or crowded out, especially since the salon is bathed in beautiful natural light all day long. Here at Salon Sora we use some of the finest products on the market. Products such as Goldwell hair color, Davines, a botanical hair care line from Italy, and Phytologie, a botanical hair care line made in the south of France. We take great pride in what we do at Salon Sora and we look forward to having the opportunity to care not only for your hair but also your spirit. So come into the best salon in Boca Raton, relax, rejuvenate, re-energize, and just know that you are in the finest of hands…..